See today's Bonavista Downs homes for sale & newest Calgary real estate listings below. 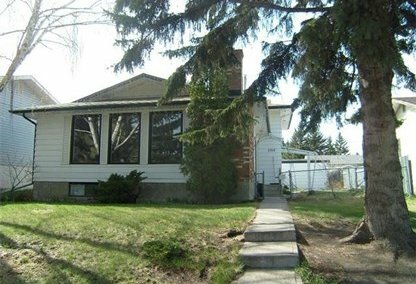 Developed during the 1970's, this community is located within Calgary's south zone, specifically in the northeast corner of Lake Bonavista. To learn more about Bonavista Downs neighbourhood properties for sale or to schedule a guided home tour, connect with your Bonavista Downs Calgary real estate team today. Bonavista Downs housing market statistics: As of April 25, 2019 there are currently 3 properties for sale in Bonavista Downs listed as active, with an average asking price of $409,900. The highest-priced property is $419,900; the lowest priced property can be purchased for $399,900. Bonavista Downs neighbourhood listings have an average price of $383 per square foot, based on listings with 4.0 bedrooms, 2.3 baths, and 1,075 square feet of living space. Want to purchase a home in Bonavista Downs Calgary? Call your Bonavista Downs real estate team, Justin Havre at RE/MAX First - 403.217.0003. Your neighbourhood Bonavista Downs real estate agents and agents are here to help with the Bonavista Downs housing market in Calgary. A moderately new neighborhood in comparison to its counterparts, Bonavista Down's urbanization led to the construction of newer homes for sale over the past few decades, as well as the replacement or renovation of older residences. These plans are what created a charming array of houses primarily comprised of single-detached units priced around the mid $300,000's to $1 million and beyond. Moreover, many condominiums were recently constructed within the community as well, whose prices start as low as the mid $200,000's. With the wide range of inexpensive homes and million dollar properties, Bonavista Downs has acquired an interesting population of low to high-income earners, and continues to attract more home buyers as newer listings appear. As for recreational activities within the Bonavista Downs neighbourhood, there are plenty of opportunities to be taken advantage of. To the north of Anderson Road is the Family Leisure Center, which hosts numerous facilities for home owners to enjoy, including a state-of-the-art wave pool. Amenity-wise, Bonavista Downs easily outshines the other neighborhoods as its residents are given the convenience of satisfying their dining and shopping needs through an assortment of stores located along Macleod Trail. Alternatively, community members can easily access all other parts of the city via public or private transport through Anderson Road, Deerfoot Trail, and Bow Bottom Trail. Educational facilities in the Bonavista Downs neighborhood are provided by a number of schools which are either a short drive or walk away, such as St. Boniface Elementary School, Nickle Junior High School, Lake Bonavista School, and St. Mary's College. Thinking of buying or selling a home in Bonavista Downs? Let our local real estate agents help guide you through the purchase of your next home, or to expertly negotiate the sale of your current home. As local Bonavista Downs real estate agents, we're experts on the market dynamics unique to the Bonavista Downs real estate market. We'll get to work for you today! Contact Justin Havre at RE/MAX First - 403.217.0003 to learn more about buyer or seller representation. Planning to sell your Bonavista Downs home? Check out our free home evaluation, where you can instantly price your Calgary home price your Bonavista Downs home online, in minutes!